We all need snacks from time to time and for most of us a sweet snack is the perfect kind. The sacred and revered chocolate. 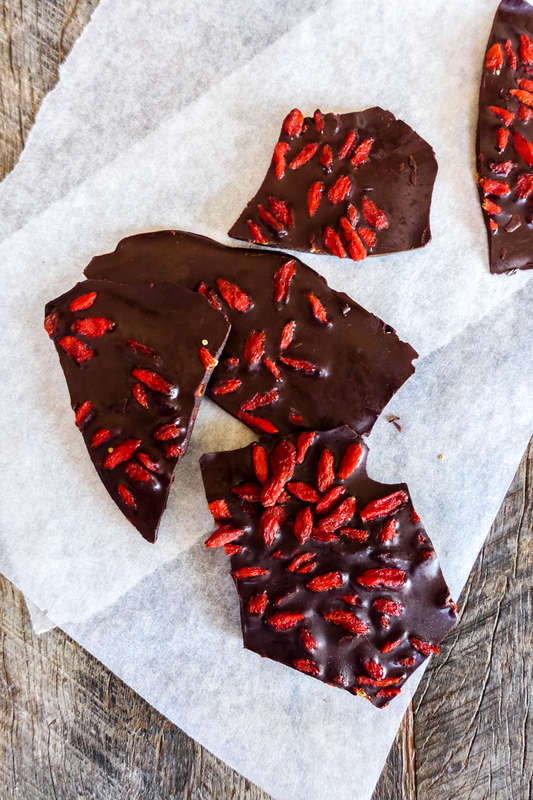 Once you have created my raw chocolate recipe, a wonderful way to enjoy it is Raw Chocolate Bark. More specifically, chocolate, orange & almond – one of those awesome combinations that just works in food-world so that’s where we’re starting. If you haven’t checked out my Raw Chocolate post, let’s have a quick debrief on cacao (ca-cow)… Otherwise skip below for the recipe. What – Cacao is the seed of a fruit of an Amazonian tree – cacao beans. It contains no sugar and between 12% and 50% fat depending on the variety and growth conditions. 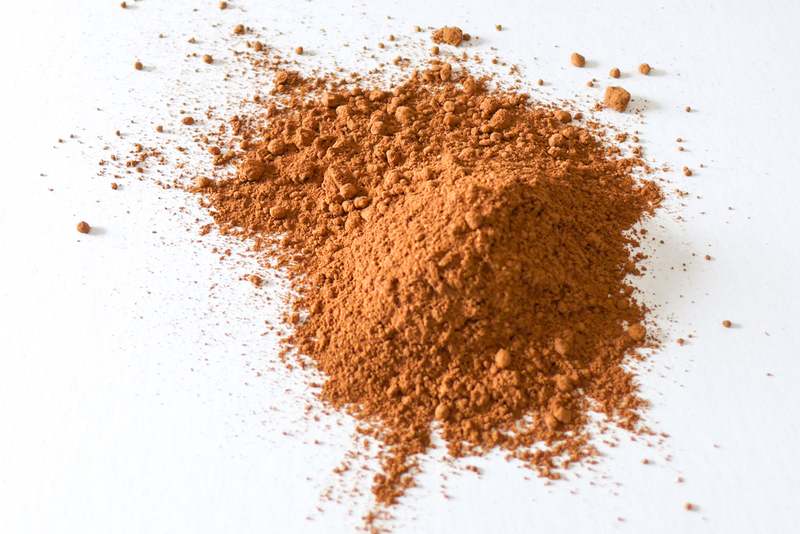 Raw, powdered cacao is full of flavonoids, which act as natural antioxidants and protect the body fromageing and disease caused by free radicals. The larger the container, the larger area that the chocolate has to spread and as such the thinner that your bark will be. 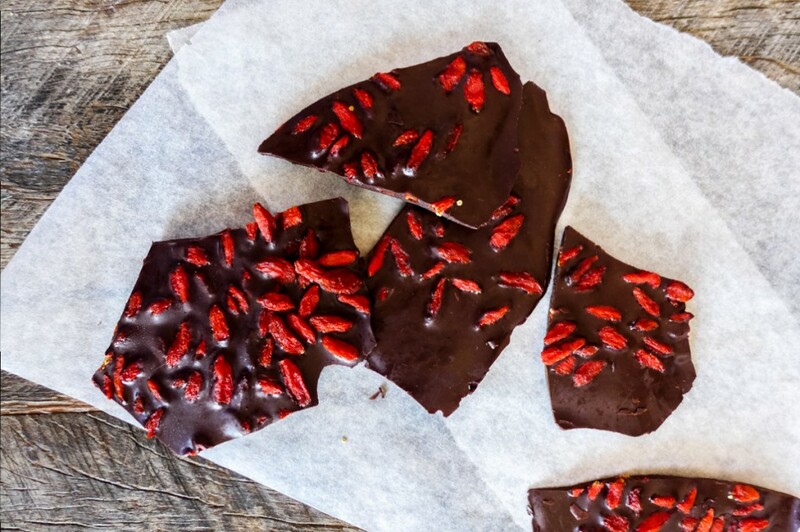 Should you prefer thick chocolate bark, use a smaller container. Switch it up with topping options (Goji berries work a treat!) and make larger batches to have on hand for take-to-work snacks, when you have people over or you simply really need a piece of chocolate! Enjoy and share the chocolate love! What is Paleo and Should You Be Doing It? Diet No More & Hello To My New Book! 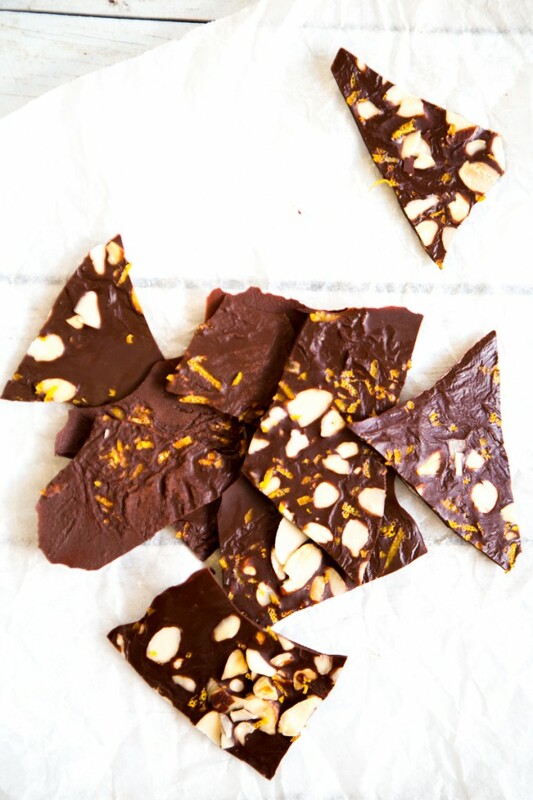 8 Responses to "Raw Chocolate, Orange & Almond Bark"